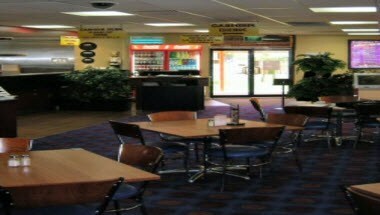 The Mulwala Water Ski Club is the Yarrawonga Mulwala region's premier venue for sport, dining or just plain relaxing. Featuring stunning views of Lake Mulwala from our Malibu Deck, our renowned restaurants, bar and coffee lounge are the perfect place to get together for a meal, enjoy a quiet drink, or catch up with friends over a hot cappuccino. Golden Inn Restaurant provides the finest Chinese Cuisine in light and spacious surroundings, with floor to ceiling views of Lake Mulwala. It is the stylish place to entertain friends and business associates. Featuring a la Carte chefs specials and banquets for lunch and dinner, this is a place for adults and families to get together with a variety of meals.